It is a shame that M.Night Shyamalan painted himself into a bit of a corner early in his career, because the guy does have some talent. But by sticking to the same formula for so long and making the audience pin his film(s) on some big reveal he’s spent the whole movie laying out has alienated a lot of people - at least it did after refusing to drop the gimmick before it became overly predictable anyway. That has made him fairly unique however, because the expectations, both good and bad, heaped upon every new film he announces (still even after all these years) are heavier than most major genre directors, and in most cases, both extremes are never met. Yes, I am happy to give examples too. With the exception of 2006’s Lady in the Water, they’re never as unpleasant as some claim to be (I'm talking to you, The Village haters), but at the same time and despite dropping the twist gimmick, he seems to have hit a major wall in the last few years when it comes to finalizing his pictures. His latest oeuvre, The Happening, does contain a fresh take on the epidemic idea (ludicrous or not - and if you say it is stupid, then you must also dismiss a bunch of now regarded 'classics' of similar ilk), but in the end it can only be considered ordinary at best. 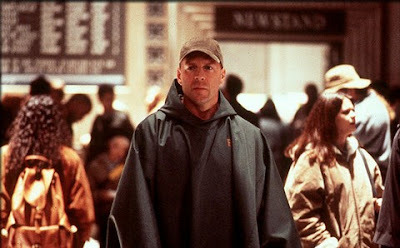 So it seems Night is well and truly unable to re-create what he achieved in his most impressive work, Unbreakable. The big question is though, was his breakthrough film, The Sixth Sense, that good anyway? If you believed the critics, he was the second coming of both Spielberg and Hitchcock. While it was interesting and original, it hardly has replay value. Perhaps the man, who arguably set the re-invention in motion of ‘the twist’ in mainstream cinema, gets a bit too much attention then. Shouldn’t we just drop the bar for the little guy already? It could be people ripping him to shreds or tripping over themselves in overstated praise, but the bottom line is, he is only a genre director with "Hitchcockian" ambitions, so why can’t he just make films without such scrutiny? Being egotistic is not enough to justify it, because there are HEAPS of egotistical filmmakers in Hollywood who don't cop it as much. I consider the guy a decent storyteller, so I always walk into one of his films with only really that in my mind. I don’t think Night has really done anything to permit the size of the spotlight that’s on him is my point, but he’s no hack either. Brett Ratner is a hack. Woody Allen is an auteur. Stanley Kubrick is a master filmmaker. 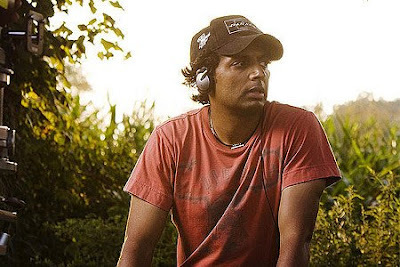 M.Night Shyamalan is none of the three really, but I understand it is easier to criticise than to praise. Maybe he should just focus on his strong point - the idea and conception, and then let someone with their feet closer to the ground take over. But he’s afraid to fly! He should be the most grounded filmmaker working today! Part Two, the Captain's review of The Happening coming soon..